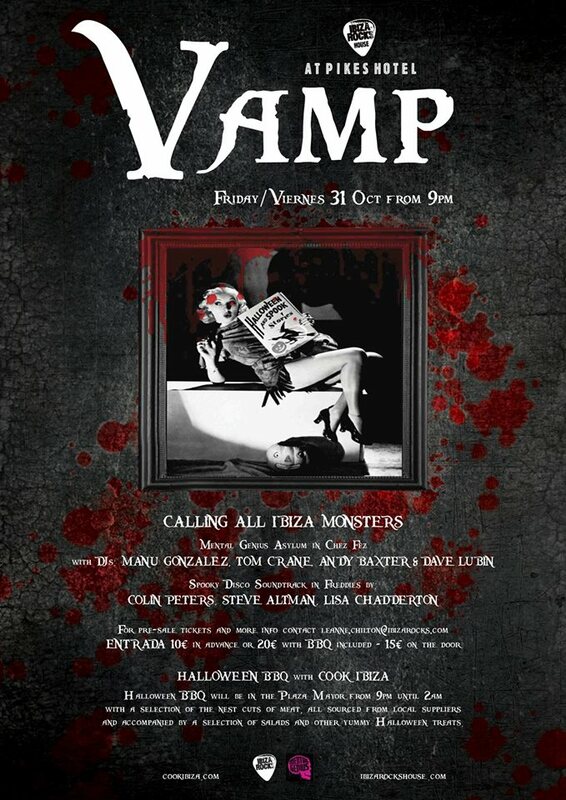 After last year’s scarily successful party of the same time, Halloween ‘wildcard’, VAMP is back in black this Thursday 31st October for a night of toe-tingling, blood-curdling madness up at Ibiza’s favourite haunted house on the hill, the 400 year old finca that is Ibiza Rocks House at Pikes Hotel. 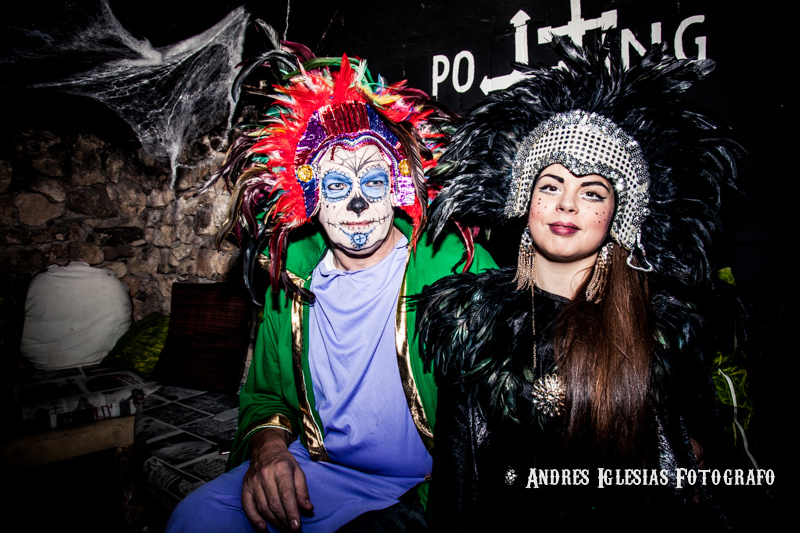 As per last year, organisers of the Halloween extravaganza Jillian Canney (FIX Ibiza) and Leanne Chilton (Ibiza Rocks) are pulling out the stops, diving head first into their cast iron cauldron of morbid mischief and saucy spells, their ultimate goal to trick and treat Ibiza’s naughtiest nocturnal creatures to a Halloween they may never forget. 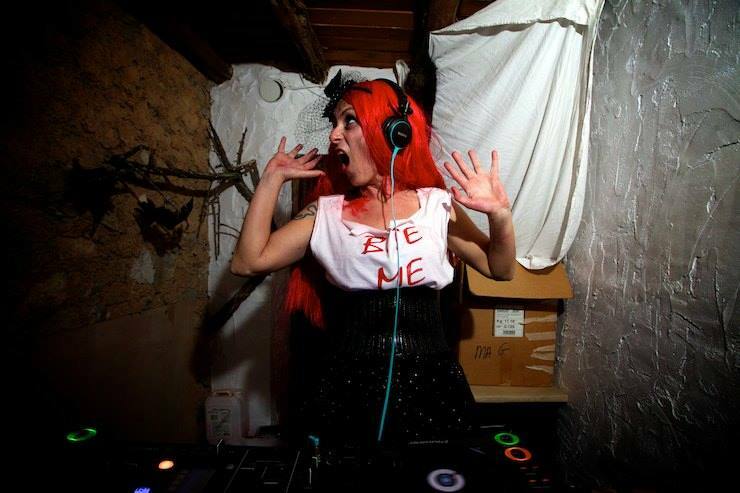 Providing the spooky soundtrack throughout the night, DJs BONES, STRAY KITTEN, DAVID PHILLIPS, MISS CHADDERS and STEF SWINGLER are the demons in charge of the dancefloor. 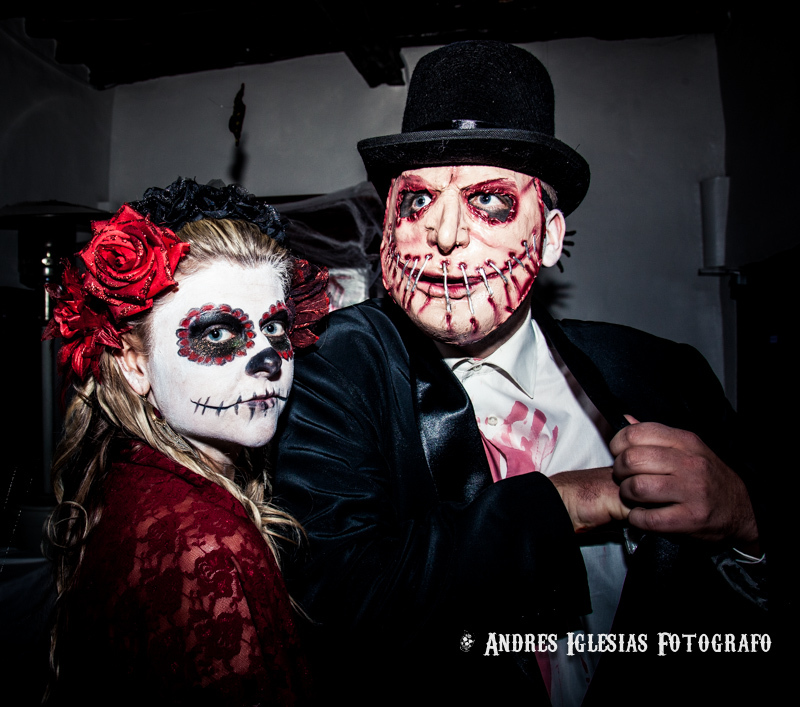 Local duo SERENADE will also be creeping out of the shadows for a live (as opposed to undead) performance very much based on the event’s central theme of Halloween. All of the above combined and plenty of opportunity to bust one’s monster moves on the dancefloor. Talking of prizes, Head Vamps Jill and Leanne will also be dishing out a few of those along the course of the evening for the best Halloween costumes, fancy dress pretty much obligatory for this particular party. Think vampires, werewolves, witches, faeries, demons, devils, spirits, shapeshifters, ghouls, ghosts, zombies, monsters, mummies, and mynaeds but don’t be scared, any other variety of spooky/inventive/topical/comedy fancy dress get up is welcome to join in the manky mix. 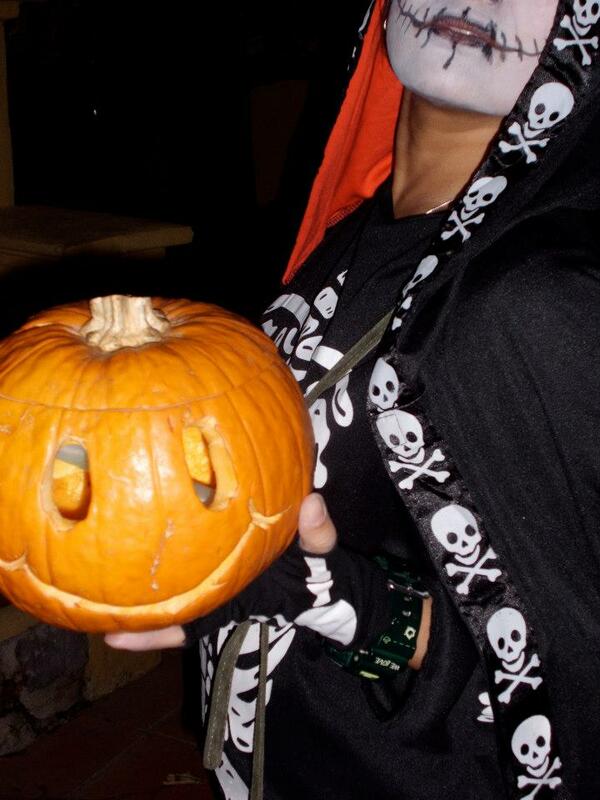 Keeping up the Halloween spirit, literally, local spiritualist and medium Lisa Chadderton (Garden of Light) will be conducting a series of one-on-one psychic readings throughout the evening. A limited number of time slots are available for booking and reservations are recommended. In charge of lighting and special effects in and around the hotel and its grounds, island experts, Aladdin Lights are back on board to help turn this Halloween into a veritable Nightmare on Pike St. Man behind that particular operation, Simon Hall promises an assortment of tricks and treats to make you turn in your grave. All that, plus a whole lot more blood, guts and gore; a monster mash from 9pm till the last banshee wails. Tickets are now on sale at 10€ and prior purchase is recommended for guaranteed entry. Price includes a trick or treat, a witch’s sup and a bloody good night out. October 24, 2013. 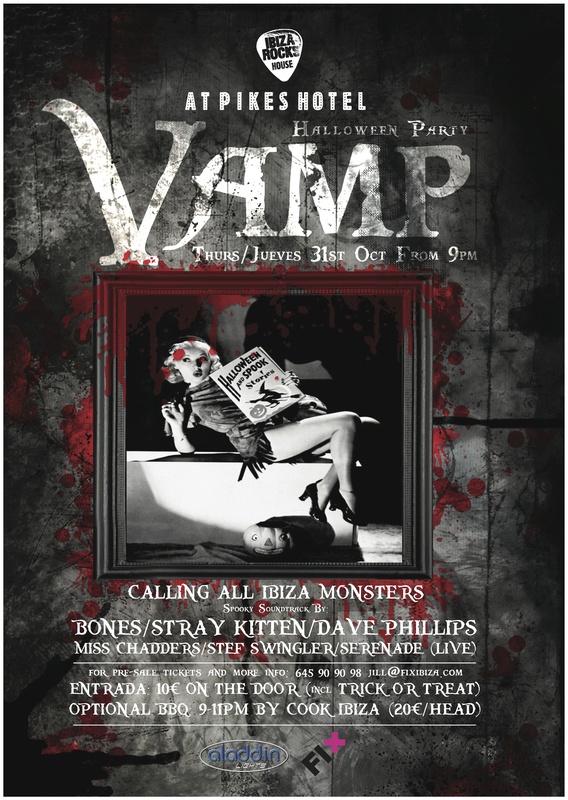 Tags: Bones, Cook Ibiza, David Phillips, DJ's, fright night, halloween, ibiza, ibiza rocks, ibiza rocks house, live music, Miss Chadders, pikes hotel, Scareoake, stray kitten, VAMP. Uncategorized. Leave a comment. As another summer storms into September, it’s time for our final FIX monthly reminder on all things IBIZA ROCKS. Kicking off the month tomorrow night,Wednesday 4 Sept, in full disco glory, it’s CHIC featuring NILE RODGERS, a night which, if the island whisperings are to be believed, has all the makings of another Ibiza Rocks Had-To-Be-There Night, along the lines of previous years’ momentous occasions- Madness and The Specials come to mind. Get your disco balls ready, your sequins shined up and prepare for good times! Next week, another long awaited arrival to the island, after many years of hoping, FRANZ FERDINAND are finally touching down in Ibiza and heading straight for the Ibiza rocks stage! And for our final live music offering of summer 2013, it’s another smasher with Foals and Jagwar Ma singing us out for another season. September will see a music legend at the Ibiza Rocks Hotel as Chic feat. Nile Rodgers perform huge hit after hit, live under the stars. From Madness, to The Specials to New Order, every year Rocks books a band that have shaped the music scene and influenced generations after them. Nile Rodgers is one of the most influential producers of all time, forming CHIC in the 70’s with tracks such as ‘Le Freak,’ ‘I Want Your Love,’ ‘Everybody Dance’ and ‘Good Times’ propelling disco back in the day and still dance classics now. From CHIC’s own hits to Rodgers producing massive tracks like ‘We Are Family’ and ‘He’s The Greatest Dancer’ for Sister Sledge, ‘Upside Down’ and ‘I’m Coming Out’ for Diana Ross, producing David Bowie’s biggest selling album ‘Let’s Dance’ and Madonna’s blockbuster album ‘Like a Virgin’ – Nile Rodgers is ‘The Hitmaker’. Add to that working with Jeff Beck, The Thompson Twins, Duran Duran, Mick Jagger, and most recently Daft Punk, giving them their biggest hit to date with No.1 single ‘Get Lucky’ – the soundtrack of the summer. The Ibiza Rocks crowd will certainly get lucky in September as a true dance music pioneer takes centre stage. One of the most important guitar bands of the decade, Franz Ferdinand are coming to our stage! 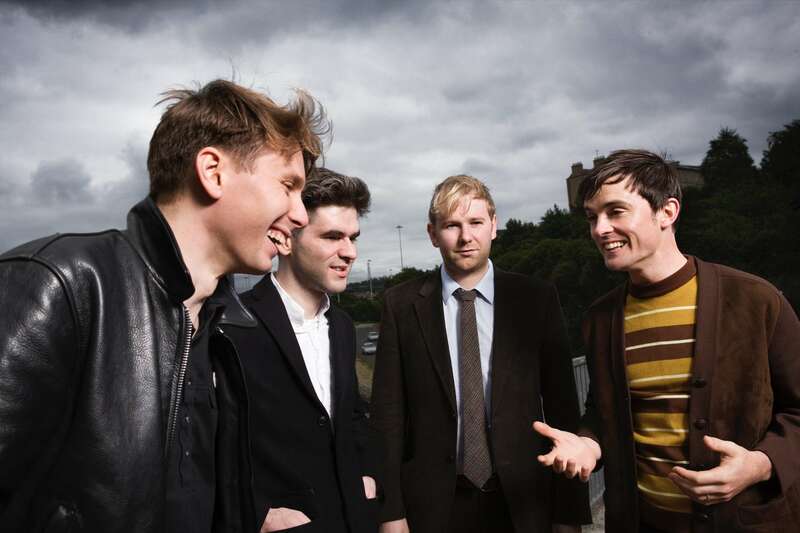 Having first smashed the charts with their killer hit Take Me Out and their self-titled debut album in 2002, Glasgow boys Franz Ferdinand are back, and Balearic bound. They’ve ticked off a Mercury Music Prize, BRIT Awards for Best British Group and Best British Rock Act, NME Awards, multiple Grammy Award nominations, sold over 3 million albums worldwide and are soon to release their hugely anticipated fourth studio album.This band were a huge influence on Ibiza Rocks, helping fuel the concept of promoting gigs for ‘dance kids who rock and rock kids who dance.’ Ibiza Rocks is exceptionally proud to be bringing one of the world’s best live bands to make their debut on the famous open-air Ibiza Rocks stage this summer. Bands don’t get much hotter right now than festival favourites Foals – the phenomenal five-piece that will headline the Ibiza Rocks Closing Party on Wednesday 18th September. And it’s also nearly time for W.A.R to end. But a different kind of war- a good one. 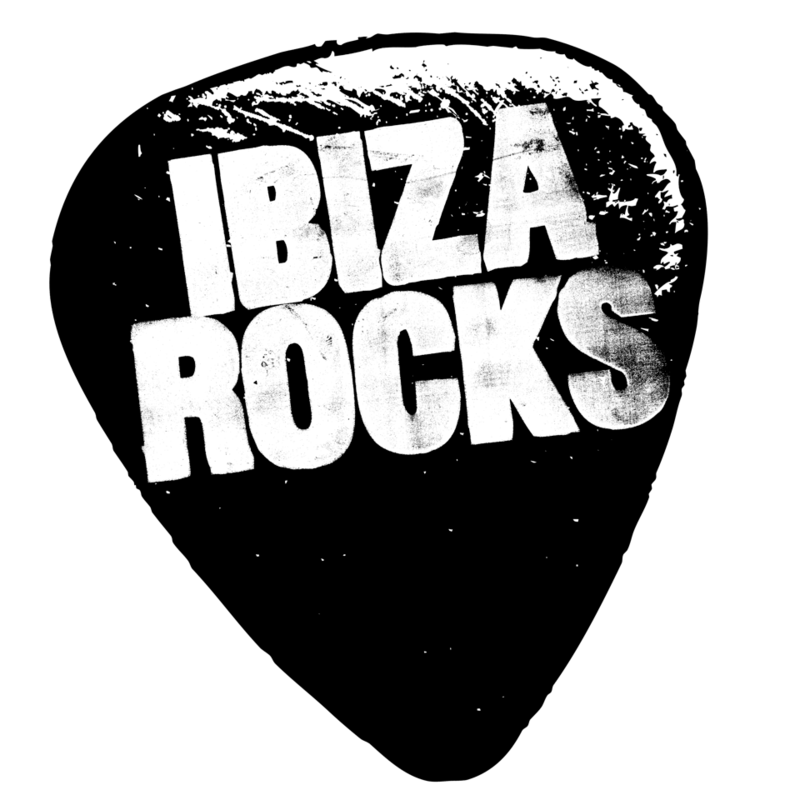 We Are Rockstars has come into its own this season with sell out gigs and the best in new talent filling the Ibiza Rocks Hotel every Friday. September 3, 2013. Tags: Alex Kapranos, CHIC, Foals, Franz Ferdinand, ibiza rocks, NILE RODGERS, September, We Are Rockstars, Yannis Philippakis. Uncategorized. Leave a comment. TRES ÚLTIMAS FECHAS PARA EL FENÓMENO ELECTRÓNICO MÁS ACTUAL: WE ARE ROCKSTARS! Mañana miércoles 4 de septiembre Ibiza será testigo de una leyenda de la música con Nile Rodgers de CHIC actuando en directo, hit tras hit, bajo las estrellas. Madness, The Specials, New Order… Cada año por estas fechas el Grupo Ibiza Rocks ficha a una banda que ha dado forma a su escena musical y ha influido en generaciones posteriores. Nile Rodgers es uno de los productores más influyentes de todos los tiempos, formando CHIC en los 70 con canciones como ‘Le Freak,’ ‘I Want Your Love,’ ‘Everybody Dance’ y ‘Good Times’, impulsando la música disco y los clásicos dance hasta hoy. Desde sus propios hits para CHIC, hasta la producción de auténticos himnos como ‘We Are Family’ y ‘He’s The Greatest Dancer’ para Sister Sledge, ‘Upside Down’ y ‘I’m Coming Out’ para Diana Ross, ha producido el disco más vendido de David Bowie ‘Let’s Dance’ y el exitoso disco de Madonna ‘Like a Virgin’ – Nile Rodgers es una máquina de hacer hits. A esto se añaden su trabajos con Jeff Beck, The Thompson Twins, Duran Duran, Mick Jagger, y más recientemente Daft Punk, dándoles su mayor éxito hasta la fecha, el single ‘Get Lucky’ – la banda sonora del verano. Será un auténtico lujo para el público de Ibiza Rocks cuando mañana, en el Ibiza Rocks Hotel, uno de los auténticos pioneros de la música dance tome el escenario. Les acompañan Skream con un disco set y Doorly. Es una de las bandas más importantes de la década. Han reventado las listas de éxitos con su hit ‘Take Me Out’ y su álbum debut en 2002. La banda de Glasgow Franz Ferdinand pisará por fin, Ibiza. Han ganado un Mercury Prize, un BRIT al mejor grupo británico y otro al mejor directo británico, Premios NME, varias nominaciones a los Grammy, han vendido unos 3 millones de discos en todo el mundo y próximamente publicarán su esperado cuarto álbum de estudio. La banda ha sido una gran influencia para el grupo Ibiza Rocks, ayudando a desarrollar nuestro concepto a la hora de promover conciertos: ‘dance kids who rock and rock kids who dance’. Ibiza Rocks se enorgullece de traer hasta la isla a una de las mejores bandas en directo por primera vez al mejor escenario al aire libre la isla de Ibiza. Les acompañan Bohicas y Zane Lowe. Alex Kapranos afirma: “Es la primera vez que actuaremos en Ibiza Rocks y estamos deseándolo. Paul estuvo allí y nos lo contó todo, así que esperamos con ganas al gran público de la isla”. La banda que lidera Yannis Philipakis ha comenzado con buen pie el 2013, lo cual es razonable. Su tercer trabajo ‘Holy Fire’ que saldrá a la venta la próxima semana y sus increíbles nuevos singles ‘Inhaler’ y ‘My Number’ han catapultado a la formación a presidir las listas de éxitos de las emisoras de radio musicales, así como protagonizar total atención de festivales, fans y críticas en todo el mundo. Sus directos por todo Reino Unido han colgado el cartel de aforo completo y memorable fue el concierto en Royal Albert Hall, con todas las entradas vendidas a tan solo 15 minutos de ponerse a la venta. Con todo, Ibiza Rocks está más que orgullosa de dar la bienvenida a Foals, en una fecha, la del cierre, que en ocasiones anteriores protagonizaron otros grandes como Two Door Cinema Club, Noah and the Whale, Klaxons o The Specials, por citar algunos. Serán teloneados por el dúo Jagwar Ma que desde Sidney, son una de las bandas para no perderse en 2013. ¡Gracias por otra maravillosa temporada, la octava, de conciertos en directo! ¡Nos vemos en 2014! 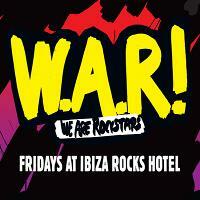 Ibiza Rocks Hotel acoge las tres últimas citas de We Are Rockstars –W.A.R! September 3, 2013. 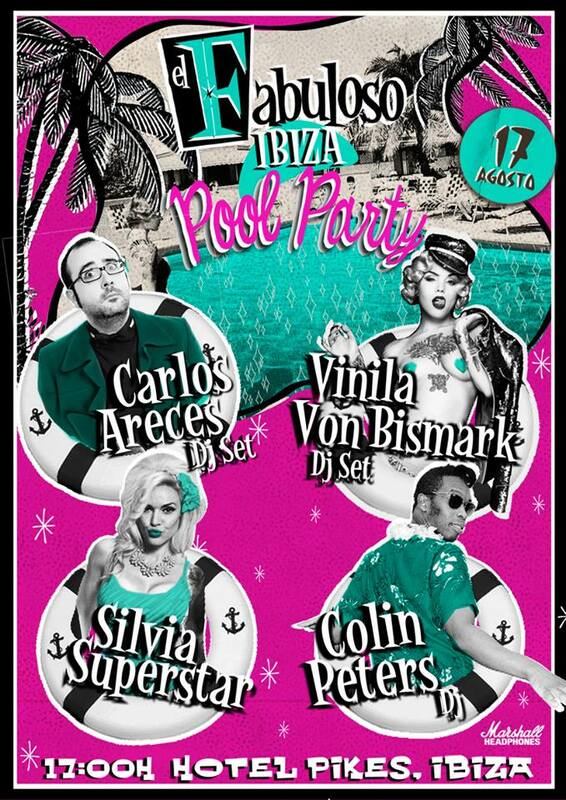 Tags: CHIC, eventos, Foals, Franz Ferdinand, ibiza, ibiza rocks, musica, Septiembre, We Are Rockstars. Uncategorized. Leave a comment. FREDDIE’S PUTS THE FUN INTO FUNDRAISER! With Ibiza Rockin’ at full tilt right now, and the island zooming towards the middle of August, it’s always good to know that there’s another world away hidden from the usual midsummer night’s madness, a rock n roll refuge right up there in the San Antonio Hills- yup, it’s Ibiza Rocks House at Pikes Hotel. The legendary agro-rock hotel of choice is a place with its own special magic which, over the next weeks, hosts a plethora of events that, frankly, deserve a big, shiny medal for their diversity, solidarity and sheer fabulousness. Amongst them, a Pikes personal favourite- FREDDIE ROCKS IBIZA- which is back on Sunday 1 September, raising more funds for The Mercury Phoenix Trust in aid of HIV & AIDS patients. 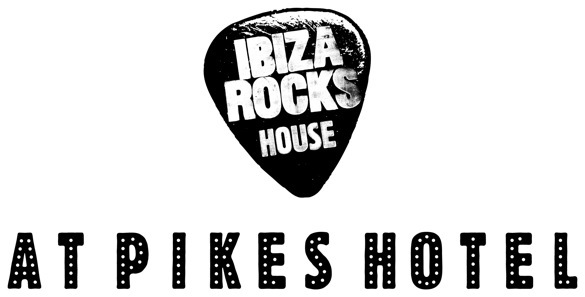 Back for its third year, this is an event with particularly special significance for all at Ibiza Rocks House at Pikes Hotel, dedicated to the hotel’s favourite former ambassador, Queen’s Freddie Mercury. The aim of the party is to not only celebrate what would have been the 67th birthday of the musical legend-in-leotards but also, to raise funds for the Mercury Phoenix Trust, the organization set up by the remaining members of Queen after the sad demise of their frontman. The Mercury Phoenix Trust has been raising millions to fight AIDS worldwide and here at Ibiza Rocks House, we like to add our tuppence worth in honour of the great man whose hedonistic history with Pikes has already gone down in the Ibiza annals. Due to public demand, this year the fundraiser begins at lunchtime by the Pikes Pool, with Antz & Co in charge of providing the daytime soundtrack for Freddie Rocks Ibiza, setting the mood for the frivolity as the first Freddie Lookie-Likees start pulling up to the sun loungers.Throughout the afternoon and heading into the night, also on the decks, a line up of local and international DJs including the schamazing 2MercuryBJs, Doorly, Wall of Sound’s Mark Jones, Stray Kitten, Andy Carroll and Colin Peters, most of whom have formed part of the Freddie’s Brigade since its beginnings, and all lining up to pay homage through tuneage. As per every Freddie Rocks Ibiza event, big, hairy moustaches and/or other related Freddie get-up is pretty much essential- you know we love a theme. Fake Freddie facial hair will be available for purchase on entry, money also going to the charity. Last year’s event managed to raise some 4000€ for the cause; lets see if we can’t top that on Sunday 1 September and do dear Freddie proud on his heavenly cloud. 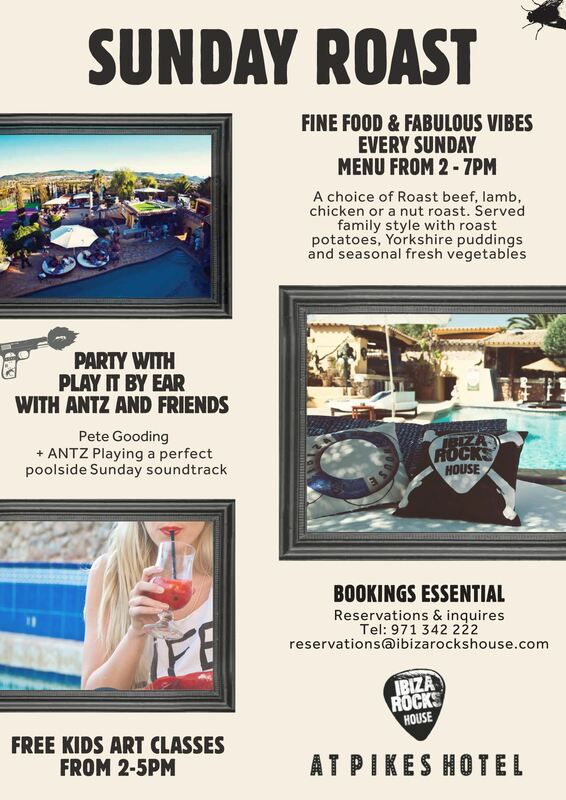 Important to note, guests also have the option to grab a table and fill up on the Ibiza Rocks House famous Sunday Roast pre- getting their groove on. Between that and the Poolside Menu, perfect fodder for pre-Freddie-Frivolity. Right up there with Ibiza’s Coolest Parties of 2013, 7Wallace has proved to be the party of choice for anyone with half a brain and, if they’re lucky, a direct line to the event’s exclusive guest list. Four down, two more to go, so far the star of stage, screen and now, the Ibiza Rocks House DJ booth, Idris Elba, has taken Fridays and the Ibiza Rocks after-parties to a whole new level. Most recognised for his starring roles in mega-series Luther and The Wire, British actor Elba is also currently premiering his new blockbuster, Pacific Rim, around the globe, squeezing in slots on the red carpets between his six summer appearances at Pikes. With special surprise guests including Pete Tong, Elba proves that, apart from his skills in front of the camera, he sure knows how to throw a party. 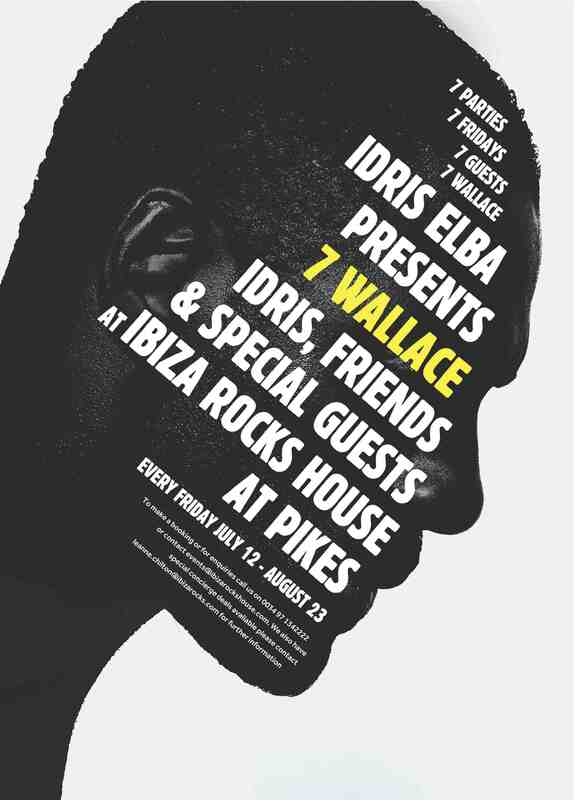 It certainly doesn’t take much detective work to deduce that 7Wallace at Ibiza Rocks House at Pikes is the party of choice. Case Closed. 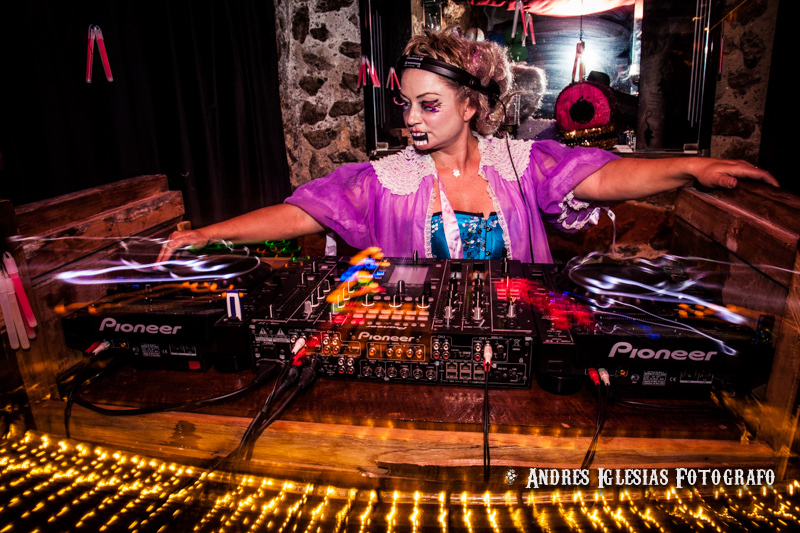 Another summer special returns to the hotel in the next days, Spain’s notoriously naughty EL FABULOSO shindig, celebrating it’s 3rdanniversary on the White Island and brought to us by a good time girl with old skool class- Silvia Superstar and her fabulous crew. Silvia is, in her own right, a bit of a household name over on the mainland, as singer and musician, model, promoter and all round rock chick who plays an important role in Madrid’s music scene and also, pops up occasionally on MTV’s Alaska & Mario, a reality programme based on the life of one of Spain’s most influential female musicians and front woman of Fangoria, Olvido Gara Jova aka Alaska. Back on the solidarity tip, Ibiza Rocks House is delighted to welcome music industry icon Boy George to Ibiza Rocks House on Thursday 22 August to present a multi-media insight into the life and times of American TV star and underground hero Lance Loud. The aim of the event is to celebrate Loud’s ife whilst simultaneously raising awareness of HIV and hepatitis C co-infection, of which Lance Loud eventually died. The screening of Lance Loud! A Death in An American Family (2003, 60 min) is well worth a watch and will be followed by a discussion with Hepatitis C Trust patron Boy George. Reinforcing the notion of ‘what not to share’, this event touches on a serious subject whilst keeping it very, very real. Sundays are always special at Ibiza Rocks House where aside from the stonkin’ Sunday Roast at Restaurant Room 39, guests are invited to dance off the beef with the help of the island’s much adored DJ & party starter, Mr. Anthony ANTZ Bryans who, along with his eclectic selection of weekly guest DJs plus his faithful crew turn every Sunday into a total Funday with their weekly get-together, appropriately called Play It By Ear. Recent guests on the old ones and twos have included Arthur Baker, Patsy Palmer, Jon Sa Trinxa, Colin Peters, Davide Dee- Vision, Julien Roussel and Hugo Heathcote. As his third year as the Resident DJ on Sundays up at House, Antz has succeeded in placing Play It By Ear way up there as a unmissable event on the Ibiza social calendar. (Advanced restaurant bookings are advised). Since its inception, MUSTACHIO! has been a champion of combining breakthrough acts along with more established old favourites, focusing on DJs who’ve helped build the foundations of modern house and techno, as well as those who are heading down different roads within electronic music. 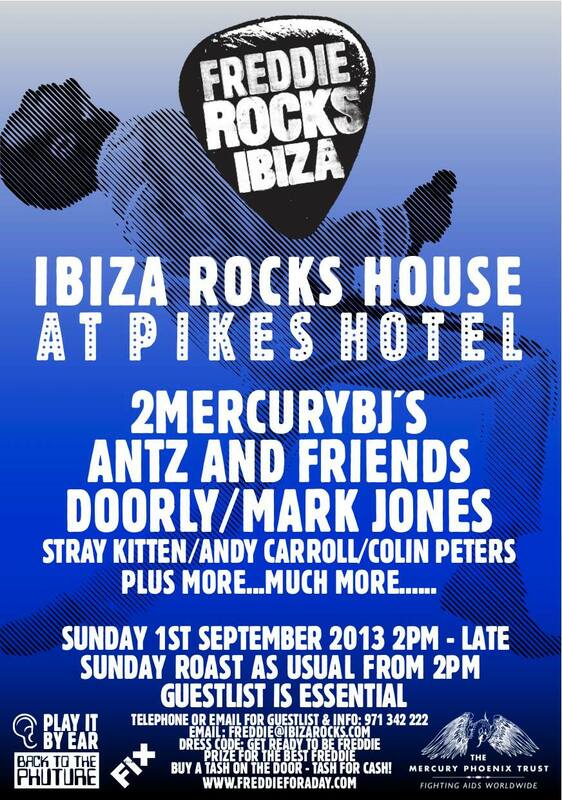 All in all then, Ibiza Rocks House at Pikes Hotel, in August, undoubtedly the place where good times are pretty much guaranteed…we’ll see you there. no excuses! August 12, 2013. Tags: 2many djs, 7Wallace, Andy Carroll, Boy George. 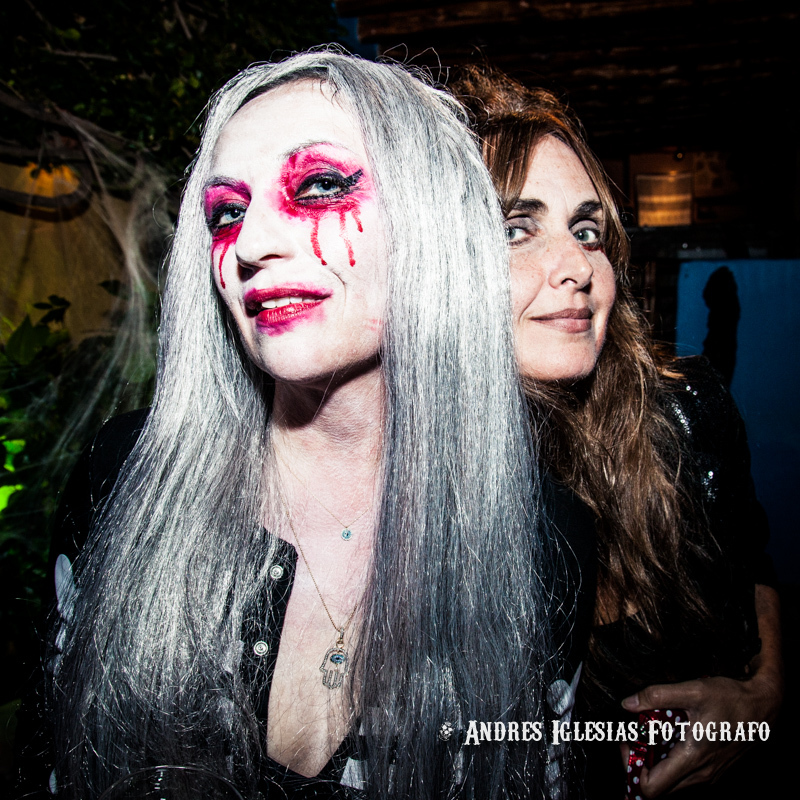 Lance Loud, colin peters, El Fabuloso, freddie mercury, fundraiser, ibiza, ibiza rocks, ibiza rocks house, Idris Elba, music, Mustachio, party, pikes, stray kitten. Uncategorized. Leave a comment. Ibiza. August. Hot. Just got hotter…Welcome to another bumper month at Ibiza Rocks with a live line up that really turns up the temperature in San Antonio every Wednesday. With headliners including tomorrow’s AlunaGeorge and, over the next weeks, Ellie Goulding, Example and the return of an artist that has become part of the Ibiza Rocks family- Dizzee Rascal, this is set to be one scorcher of a month at the Ibiza Rocks Hotel. It’s a Rocks debut for AlunaGeorge who have exploded onto the scene and featured on one of the biggest tracks of the year ‘White Noise’ with Disclosure. Nominated for the BRITs Critics Choice Award and BBC’s Sound of 2013 and with debut album ‘Body Music’ out in July, this will be one seriously hot summer set. With support from acclaimed DJ/Producer Redlight bringing his live show to the island for the first time this is going to be one serious scorcher of a show. Another debut in the form of Ellie Goulding on 21 Aug. Undoubtedly one of the UK’s most singular and compelling songwriters, in the two-and-a-half years since releasing massive debut album Lights, Ellie has secured huge global success including the USA where she’s sold over 3m albums. Back with new album Halcyonand lead single, Anything Could Happen, Ellie shows a new immersion in electronica and dance beats, producing a fascinating collision between the clubbing scene and Ellie’s love of folk-pop soundscapes. Undoubtedly one of the world’s most successful female solo stars right now, we can’t wait for her to take centre stage for her debut at Ibiza Rocks. It’s been almost 10 years since Dizzee released his debut single and Rocks is proud to have been on an incredible journey with the East London MC turned worldwide legend who has just been chosen by Muse to appear as a special guest on their UK Stadium tour. Having first headlined Ibiza Rocks in 2008, Dizzee’s love affair with Ibiza began and headline gigs followed in 2009, 2010 and 2011. Dizzee will once again bring his genre-fusing musical genius to the famous open-air Rocks stage with a full new live show. Ibiza Rocks is delighted to bring our boy back to his home from home. As for the warm up acts for August, talk about scorchio! London Grammar is an English art rock trio formed by Hannah Reid, Dot Major and Dan Rothman. Their debut EP Metal & Dust was released in Feb 2013 and their debut album If you Wait is due for release only a month after they take to the Ibiza Rocks stage, on 9Sept. Clean Bandit. The premise of this group is one that on paper sounds bizarre, an electronic/hip-hop collective built around a string quartet… It shouldn’t work but it really does- take the Ibiza Rocks word for it. Although no stranger to Ibiza Rocks, this time Toddla T is also stepping up to our stage accompanied by Serocee, DRS and Shola AMA- the collective known as Toddla T Sound. Prepare for some kind of wonderful. Throughout the month of August, it’s a veritable starfest round at W.A.R with the likes of our Doorly, Rudimental, Mele and even Luther star Idris Elba amongst the DJs behind the decks. And that’s before we even mention that the HMS Bestival is due to anchor on our stage on 16 Aug, bringing with them a hearty crew ofJaguar Skills and Rob Da Bank. Finally, don’t miss this Friday at We Are Rockstars, when Rinse FM are taking over with a live show from Katy B, P Money, Zinc and Idris Elba. HUGE! August 6, 2013. Tags: ALUNAGEORGE, Bestival, Dizzee Rascal, Doorly, Ellie Goulding, Example, ibiza, ibiza rocks, ibiza rocks hotel, Idris Elba, Katy B, London Grammar, Rinse FM, Rudimental, Toddla T, We Are Rockstars. Uncategorized. Leave a comment. LOS VIERNES, CONTINÚA LA PROGRAMACIÓN DE WE ARE ROCKSTARS! Comienza agosto con AlunaGeorge, que ha irrumpido en la escena y ofrecido una de las canciones más grandes del año, ‘White Noise’, junto con Disclosure. Nominada para el BRITs Critics Choice Award y al BBC’s Sound of 2013 acaba de lanzar su álbum debut ‘Body Music’, el pasado mes de julio, para ofrecer, en Ibiza Rocks Hotel, una actuación única. Para caldear el ambiente nos acompañan también London Grammar. Ellie Goulding es, sin duda, una de las compositoras más singulares y convincentes del Reino Unido. Dos años y medio después del lanzamiento de su álbum de debut, Lights, Ellie se ha asegurado un gran éxito mundial, incluyendo los Estados Unidos, donde vendió más de 3 millones de discos. Ahora regresa con su nuevo disco Halcyon, encabezado por el singleAnything Could Happen. En este nuevo trabajo, Ellie se sumerge en la electrónica y la música de baile, lo que produce un choque fascinante entre los ritmos de club y su amor por los paisajes sonoros del folk-pop. Es un gran honor tener a una de las mujeres con más éxito del momento debutando en el escenario de Ibiza Rocks junto a la formación británica Clean Bandit. Tras el emocionante lanzamiento de DirteeTV.com The Mixtape Vol.2, a principios de año, Dizzee Rascal lanza este mes la canción Bassline Junkie, un aperitivo de lo que será su próximo y quinto álbum de estudio así como lo que veremos este verano en su concierto en Ibiza Rocks. Hace casi 10 años desde que Dizzie sacó su single de debut y como no podía ser de otra manera Ibiza Rocks está orgulloso de haber sido testigo del increíble viaje que el MC del Este de Londres ha hecho convirtiéndose en una leyenda internacional. Además acaba de ser escogido por Muse para participar como invitado especial en su gira por los estadios del Reino Unido. 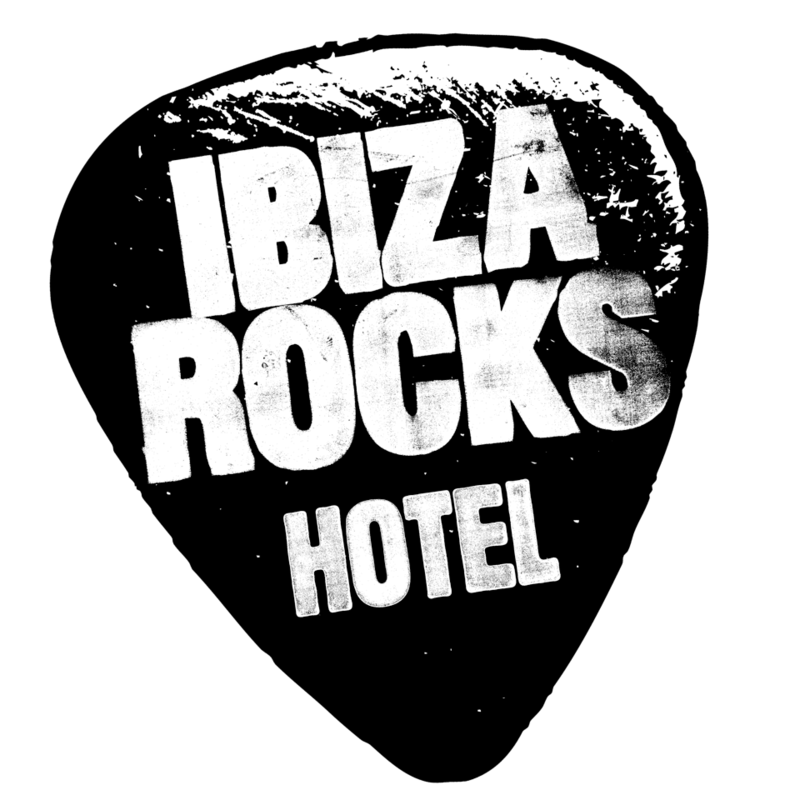 Habiendo actuado por primera vez en Ibiza Rocks en 2008, lo de Dizzee con Ibiza es toda una historia de amor, ya que volvió durante tres años consecutivos, en 2009, 2010 y 2011. Este mes de agosto regresa a casa con su genial mezcla de estilos para presentar un fascinante y nuevo show en directo con Toddla T Sound como telonero. Además, los viernes, el Ibiza Rocks Hotel continúa acogiendo a las nuevas generaciones de DJs en la cita que se consolida como uno de os fenómenos más modernos que pisan la isla de Ibiza. We Are Rockstars –W.A.R! August 6, 2013. Tags: Agosto, ALUNAGEORGE, Clean Bandit, Dizzee Rascal, Doorly, Ellie Goulding, eventos, Example, ibiza rocks, London Grammar, music, Redlight, Toddla T Sound, W.A.R. Uncategorized. Leave a comment. Ibiza, 30 de julio 2013 (FIX Ibiza).- El arte cobra en la ya quinta edición de Urban in Ibiza una relevancia especial con la presencia de artistas internacionales como John Tracy, recién aterrizado en la isla para presentar su show artístico SK8 Art St. Una expo colectiva iniciada en Los Angeles y que tras pasar por otras ciudades llega ahora hasta Ibiza para celebrar la quinta edición del evento urbano artístico Urban in Ibiza. 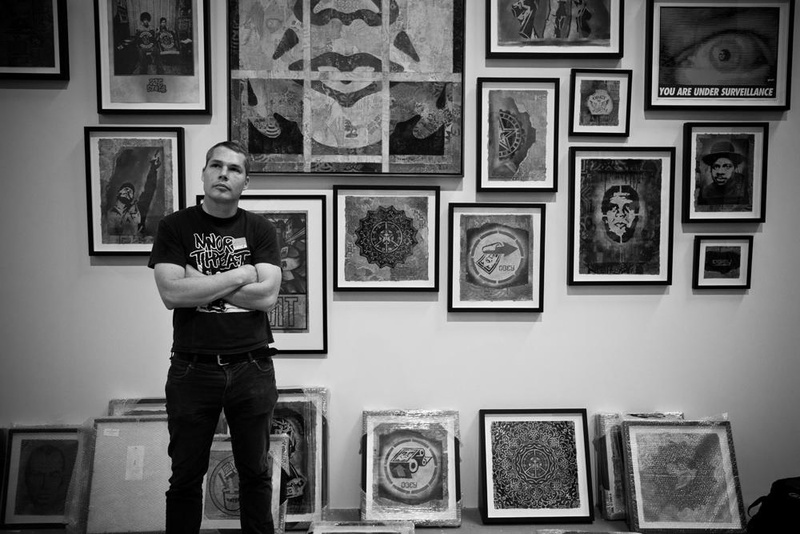 Entre los nombres de este peculiar proyecto se encuentra el de Shepard Fairey. Al californiano le conocemos por el retrato de Barack Obama con la leyenda ‘Hope’, que fue utilizado por el presidente durante la primera y victoriosa campaña electoral. Shepard traerá a Ibiza obras relevantes y nuevas, para en esta ocasión atender a dos ediciones iguales pero diferentes de Urban in Ibiza para celebrar por todo lo alto que en 2013 cumplimos 5 años. Las fechas: 1 de agosto en Atzaró y 23 de agosto en Ocean Beach Club. Pero hay más. Se confirma la adición de otros artistas norteamericanos como uno de los Jackass, Bam Margera, o el renombrado skater Chad Muska. Regresan grandes artistas de anteriores ediciones de Urban in Ibiza, convertidos ya en grandes amigos, y joven talento, representando el futuro. Encuentra piezas urbanas para diferentes espacios, para todos los públicos y bolsillos de la mano de Banksy, David Walker, Mau Mau, Fin Dac, Inkie, Snik, Schoony, Ben Allen, Dan Kitchener aka DANK, Jim Vision, Ben Slow, Henry Hate, Pure Evil, Rowan Newton, My Dog Sighs, Kristian Hornsleth, K Guy, Goldie, Nick Walker, Ryan Callanan aka RYCA, Milo, Copyright, Gemma Compton, Jim Starr, Elmo Hood, Lauren Baker, Chapter, Zeus, Nicolas Dixon, Sequin Kay, Adam Bricusse. Urban in Ibiza utiliza en esta edición el nombre de ‘Sons of Warhol’. Una descripción que ya hace años empleó un veterano artista de Ibiza al descubrir la colección de arte urbano de Paul Dizzi Saunders, director de Urban in Ibiza y propietario de la galería londinense Westbank Gallery (www.londonwestbank.com). Con el añadido artístico americano en 2013, la expresión cobra pleno significado. La exposición de Urban in Ibiza se mantendrá en Atzaró del 1 al 8 de agosto. Y por supuesto, moda. Urban in Ibiza aglutina disciplinas y la moda es siempre una de ellas. 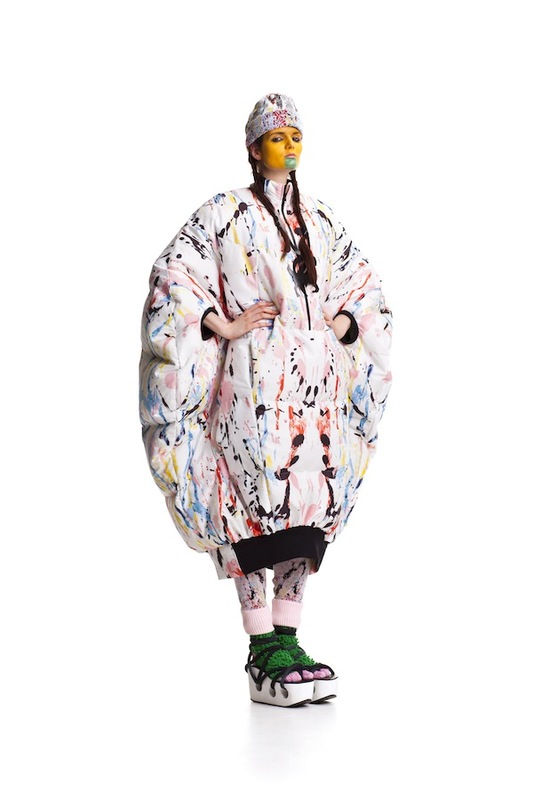 Este año, el desfile lo encabeza el belga Tom Van der Borght, mostrando su colección Otoño/Invierno 13/14, llamada ‘Aponycalypse’ y recientemente premiada con el ‘Premium Young Designer Award 2013’ en la Berlin Fashion Week. Además, y tras su reciente y exitoso lanzamiento de una boutique online, con una exquisita selección de prendas que exteriorizan de manera sublime la esencia de Ibiza, White Ibiza desfilará también por la pasarela de Atzaró, el próximo jueves 1 de agosto con marcas como la americanaL *Space o la brasileña ViX Swimwear, entre otras. El DJ y productor inglés Benji Boko repite este año porque Urban in Ibiza se merece sesiones chifladas como las suyas, con un enérgico hip hop de fondo. Se suman al cartel MC Carpetface y los DJs Samir, Yuniq, Gianluca de Tiberiis y Tony Montana. La clase, magistral, corrió a cargo de los grandes artistas urbanos, Inkie y Chapter. 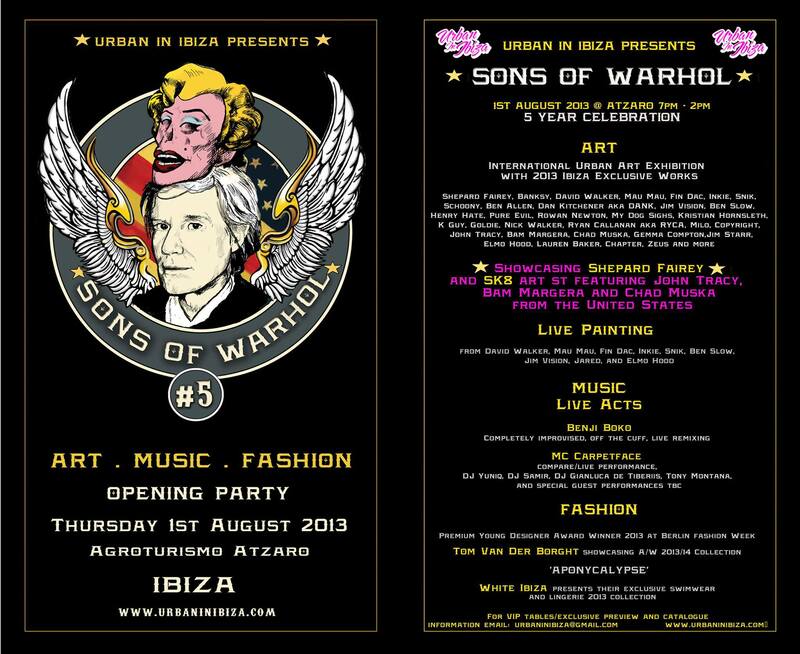 Urban in Ibiza 2013: ¡Los hijos de Warhol! Atzaró Hotel is a gorgeous rural hotel located just outside of Santa Eulalia in the North East of Ibiza in the middle of the countryside inbetween Santa Eulalia town and the San Juan road. The actual address is Agroturismo ATZARó Ibiza, Crta San Juan km15, 07840, Santa Eulalia, Islas Baleares, Spain. July 31, 2013. Tags: Arte, Atzaro, Chase & Status, ibiza rocks, JOHN TRACY, Mini Markers, Moda, musica, Ocean Beach Club, SHEPARD FAIREY, SK8 Art St, Urban in Ibiza, White Ibiza. Uncategorized. Leave a comment. Ibiza, 18 de julio 2013 (FIX Ibiza).- El arte cobra en la ya quinta edición de Urban in Ibiza una relevancia especial con la presencia de artistas internacionales como Shepard Fairey. A este californiano le conocemos por el retrato de Barack Obama con la leyenda ‘Hope’, que fue utilizado por el presidente durante la primera y victoriosa campaña electoral. Pero la trayectoria de este artista urbano y diseñador gráfico abarca mucho más, en un marco creativo extenso y reconocido en el que destacan los elementos del cartelismo de propaganda política de mediados del siglo pasado. Pero hay más. Se confirma la adición de otros artistas norteamericanos incluidos en el proyecto expositivo SK8 Art St, con un comisario como el fotógrafo John Tracy –relacionado sentimentalmente con Pamela Anderson y otros personajes singulares como uno de los Jackass, Bam Margera, o el renombrado skater Chad Muska. Además, y tras su reciente y exitoso lanzamiento de una boutique online, con una exquisita selección de prendas que exteriorizan de manera sublime la esencia de Ibiza, White Ibiza desfilará también por la pasarela de Atzaró, el próximo jueves 1 de agosto con marcas como la americana L *Space o la brasileña ViX Swimwear, entre otras. Todos los participantes (6-14) años, vuelven a casa con su propio canvas. La clase, magistral, corre a cargo, entre otros, del gran artista urbano Inkie. Creemos que Warhol se hubiese sentido bastante orgulloso de esta quinta edición de Urban in Ibiza. Atzaró Hotel is a gorgeous rural hotel located just outside of Santa Eulalia in the North East of Ibiza in the middle of the countryside inbetween Santa Eulalia town and the San Juan road. The actual address is Agroturismo ATZARóIbiza, Crta San Juan km15, 07840, Santa Eulalia, Islas Baleares, Spain. July 22, 2013. Tags: Arte, Atzaro, BAM MARGERA, Banksy, CHAD MUSKA, Fin dac, ibiza rocks, Inkie, JOHN TRACY, Mau Mau, Moda, musica, My Dog Sighs, Ocean Beach Club, Paul 'Dizzi' Saunders, Ryan Callanan, SHEPARD FAIREY, SONS OF WARHOL, Urban in Ibiza, White Ibiza. Uncategorized. Leave a comment.